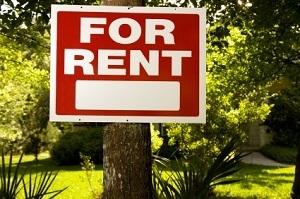 Rental properties can be a significant asset in the marital estate. A divorce means dealing with rental properties and involves the same basic steps as dividing all other marital property. Assess the value of the property, either by using hiring professional appraiser or by agreeing on a fair market value. Determine a way to apportion a share the marital estate to each party in an equitable manner. It is highly recommended to obtain professional appraisals of any rental properties you and your spouse own. While it is technically acceptable simply to agree on an arbitrary value, there are potential dangers of taking that route. It is quite easy for one spouse purposely to misrepresent (undervalue) the property and dupe the other spouse who knows little about real estate into believing it is worth far less. For example, let us say your ex tells you the rental home is worth $50,000. You take him at his word, and you let him keep it while you take $50,000 of the retirement account as your fair share. After the divorce, he sells the rental and profits $100,000, having hidden the value purposefully from you. At that point, you will be out of luck – and out $25,000 that should have been yours. Do not risk shortchanging yourself. Get an appraisal. The property may be considered an asset, liability, source of income, or a combination. Hiring a professional real estate appraiser to value the property and perhaps an account or forensic economist to help determine the tax and financial implications of the property is the surest way to get an accurate picture of the value of the properties and the entire marital estate. When you work with Ward Law Firm, we will put you in contact with reputable professional evaluators in the area. Once you have determined the value of the property, you and your spouse will have to come up with a way to divvy it up fairly. The most common way to handle this is to have one spouse keep the rental property, and the other spouse keep assets equivalent in value to the rental property value, such as the marital residence or a larger share of the retirement account. If that is not feasible, another option is to sell the property and divide the profits. Note: selling the property could result in extra fees and taxes and is generally a last resort during divorce. If you and your spouse are unable to reach a fair agreement, a judge can decide. Another thing to consider is how to manage rental income during the divorce process. If you and your spouse can agree on how to do this, that is wonderful. For example, you might just split the monthly income equally until the divorce settles. Your attorney can detail the specifics in a temporary agreement for your protection. You also can decide to put the funds aside in the interim. It is customary for the rental income to be deposited into a trust or property management account and left untouched by either party until the divorce in final. The only withdrawals made on the account should be for property expenses, such maintenance, taxes and insurance – and both parties should have notice of any withdrawals. Then, the funds can later be divvied up appropriately in the final property division agreement. For expert advice on how to handle your rental properties during divorce, call The Ward Law Firm at 770-383-1973 or fill out our online contact form to schedule an appointment. We assist clients with all matters of divorce, including complicated asset divisions.